I love book gifts - both receiving them and giving them! I still have some of the books I was given as a child by my aunts, a very special great-aunt and my two grandmothers, complete with the lovely messages they wrote on the fly-leaves for my birthdays and at Christmas time. The kids in my family - my three children and all my nephews - have all the electronic bits and pieces most kids have but they're also readers and love receiving book gifts. This is lucky for me because I'm not keen on buying X-Box games, DVDs or, for the younger kids, more miscellaneous bits of plastic toys that will last about ten minutes before being broken and thrown in the bin. 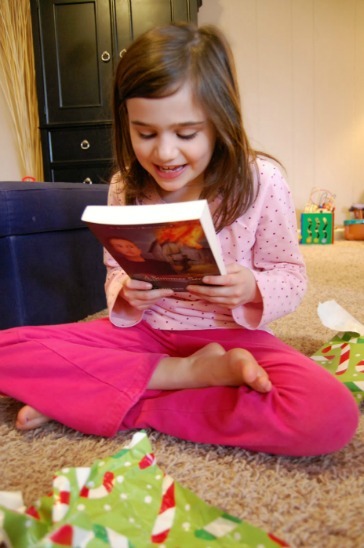 Yep, book gifts are a great choice for children but which books do you choose? It can be tricky so here are a few ideas that might help. If you're buying books for a baby, the task is usually not too difficult. All babies love books and they all tend to like the same things in books. But beware: there are a lot of what I call 'super-market books' out there. These are cookie-cutter-type books which are really quite bland and boring. Not only do they do nothing for the baby, they also bore the adults who read them rigid! That's why I put together a list of the very best books for babies. These are the tried and true, absolute no-fail books that babies and parents love. Some are classics, some are newer books but all are delightful and make fantastic gifts. If you're looking for a gift for a newborn baby and you're feeling creative, why not make up a gift basket filled with beautiful books? If you live in Australia (or want to send a gift to someone who does), check out these gorgeous gift baskets. If you'd rather make your own, there are ideas and tips for making your own book gift basket for a baby here. If you're the child's parent you'll probably have a pretty good idea of which books your offspring has read and what's likely to appeal to him or her. But what about if you're a family friend or relative and don't really know what to buy? Perhaps you live far away and don't see the child regularly? If you'd like some ideas of books that are practically guaranteed to appeal to the child you're buying for, have a look at the menu at the top of this page. There are lists of books by age group, as well as information about nursery rhyme collections and books of poetry for kids. 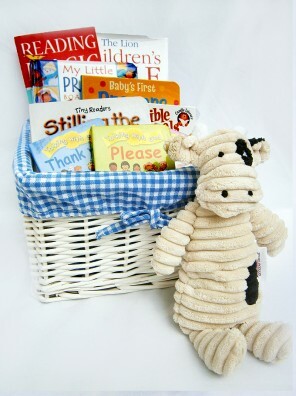 Older children also love book gift baskets and they're great fun to make. Choose a theme or just buy two or three or more books you think will appeal to the child. When it comes to choosing books for your book gift basket, again, have a look around the Best Book for Kids website for some ideas. it's OK to ask the child's parents to suggest books the child might like. Ask for three or four ideas. you can also ask other parents who have kids of the same age what their kids are reading. if in doubt, stick to the tried-and-true. Books like The Very Hungry Caterpillar and the Hairy MacLary books are best-sellers for a reason: because they're amazing books and kids love them! if you're buying for a child who can read but you're not sure how good a reader they are, it's better to buy a book that you think might be slightly too difficult than one that they'll consider baby-ish. You may get it right and the book may be perfect for the child but if it is slightly too hard, ask Mum or Dad to put it away for a month or two and try again later. my top tip is to ask the staff at an independent book shop, preferably a specialist children's book shop, to recommend a book.The staff who work in these book shops love books. They read all the industry magazines and they know what people are buying and what kids are reading and enjoying.And they're great with questions like "my nephew is eleven and he isn't all that keen on reading. What do you suggest?"